REO Announces High Finesse Frequency Reference Cavity AssembliesREO Inc.
REO, a leading manufacturer of custom integrated optical assemblies, now offers several standard configurations of frequency reference cavity assemblies. Applications of these air spaced etalons include wavelength locking, laser stabilization and frequency standards. REO combines precision component fabrication techniques with advanced coating technology to deliver high performance optical cavity assemblies. With the ability to accurately control optical path length within a coated optic and our tight tolerance assembly techniques, REO produces assemblies with the highest accuracy available on the market. REO manufactures standard configurations designed to be highly non-degenerate resonators. These assemblies are fabricated from ultra low expansion material and utilize our adhesive free bonding techniques to minimize instability from temperature variances. Our high reflectivity, low loss IBS coatings and superpolished substrates ensure minimal absorption and scattering losses from the end mirrors. The resulting cavity assemblies provide frequency references that are useful in stabilizing lasers to the sub-hertz range. The precision and accuracy of our assemblies is substantiated by our advanced, in house metrology capabilities. REO has developed state of the art metrology techniques and equipment to support your most demanding cavity assembly design requirements. We can resolve the optical properties of our components including absorption, reflectivity, and the surface roughness, quality and texture of our superpolished substrates. 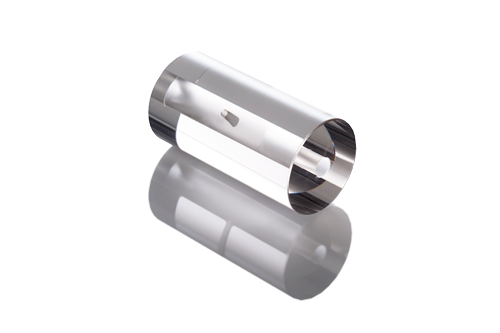 REO produces high precision thin film coatings, optics and opto-mechanical assemblies for the ultraviolet, visible and infrared. Located in Boulder, CO, the company primarily services medium to high volume OEMs including manufacturers of defense and aerospace systems, laser systems, semiconductor tools, medical systems, life sciences instrumentation and telecom equipment. REO is a privately held company. For more information, please contact us at sales@reoinc.com or +1 303-938-1960.